CHICAGO (WLS) -- Evacuees who escaped the devastation in Puerto Rico are finding new hope in Chicago. The Humboldt Park Welcome Center has become a place of refuge for residents who left the heavily damaged island. Since Hurricane Maria tore through Puerto Rico in September, about 140 student evacuees have enrolled in more than 70 Chicago Public Schools. 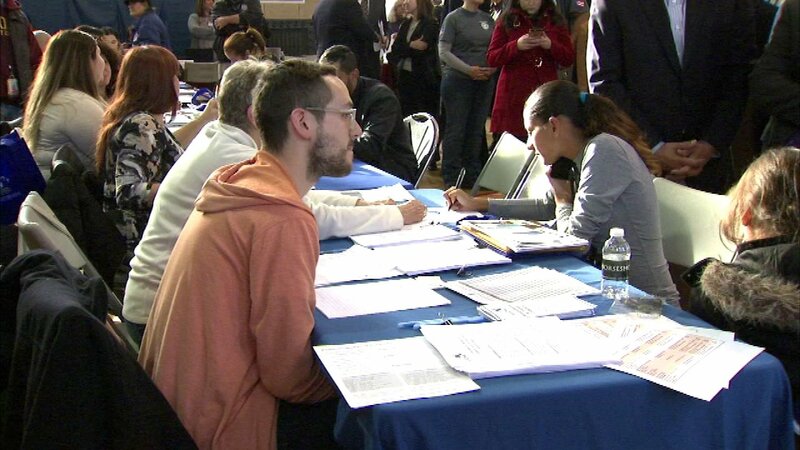 Monday Mayor Rahm Emanuel, Congressman Luis Gutierrez and other leaders spoke on the importance of the center, which helps evacuees find jobs, schools and even provides them with a driver's license. Cardinal Blase Cupich also announced Monday that he will travel to Puerto Rico in December at the request of Pope Francis. Cardinal Cupich will depart on Dec. 3.